Join the UCA community for the total solar eclipse on Monday, August 21. 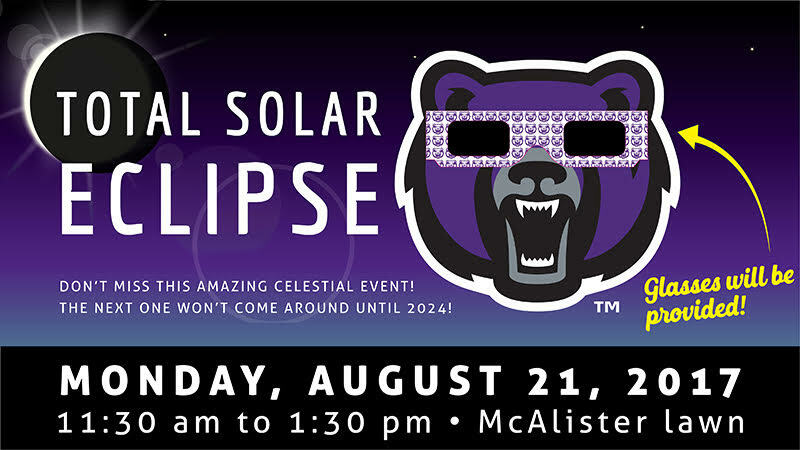 Custom UCA solar eclipse glasses will be distributed beginning at 11:30 a.m. on the McAlister Hall lawn. This event will coincide with the Welcome Week picnic lunch. You don’t want to miss this rare celestial event!